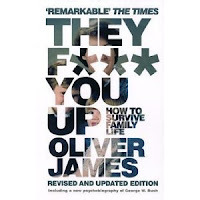 In this groundbreaking book, clinical psychologist Oliver James shows that it is the way we were cared for in the first six years of life that has a crucial effect on who we are and how we behave. Nurture, in effect, shapes our very nature. In a remarkable analysis of science and popular culture, James combines the latest research with revealing case studies, interviews, and biographies with the likes of Michael Jackson, Mia Farrow, and Prince Charles to prove his point. James explains how the findings he presents can be a source of liberation in our lives. Through the use of provocative questions and insightful examples, he helps readers better understand the way their childhood past is affecting their present and how to "be your own scriptwriter." He also argues that his findings could have huge implications for society as a whole. 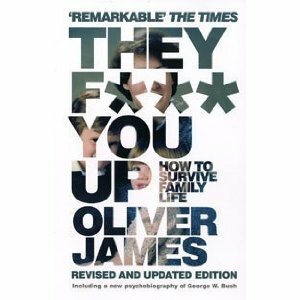 A top-seller and recipient of significant attention in the U.K., They F*** You Up is an opinionated, entertaining read which causes us to ponder the origins of our present behaviour.